Where is the cheapest car rental in Santa Maria, California? Santa Maria is a city with over 100 thousand residents in Southern California. Adjacent to Guadalupe, California, and about 65 miles northwest of Santa Barbara, Santa Maria is about 2.5 hours by rental car northwest of Los Angeles. Combined with the cities of Santa Barbara and Guadalupe and the town of Orcutt, the Santa Maria area is home to over 430 thousand Americans. The City of Santa Maria is famed for its winemakers and the type of barbecue that originated here, called “Santa Maria Style”. The nearby Vandenberg Air Force Base is a driving force of the local economy, and employs over 4 thousand locals. All the vehicles available in Santa Maria on the dates you will need one. The total price for booking each rental car for those dates, including all taxes and fees. Vehicles in other nearby locations – like Santa Barbara – if you want to search there, too. There are no hidden fees when you book a car rental with us – ever! In fact, we charge no booking fees at all. You'll see the total price including the rental company's charges, all taxes and all fees! You won't be surprised at any time by extra charges or fees. If you need extra insurance for your car rental, this may depend on your personal circumstances. If you have current insurance, there are usually no charges added, but there are options of adding additional insurance at the time of pick up. Shaw's Famous Steak House is a very popular restaurant in Santa Maria. The food here is absolutely delicious, while the service is excellent. Santa Maria style barbecue steaks and sea food can be tasted in this location. Boonie Thai Cuisine is a wonderful Santa Maria place to eat in. The Thai restaurant is very appreciated for the big portions and the tasty food. The atmosphere is cozy and the prices are affordable for all visitors. You will surely return to eat again in this spot. Riverbench Vineyard and Winery was established in 1973. The place is great to visit due to the lovely tasting events. The tasting room is absolutely charming, while the surrounding natural area is amazingly beautiful. In this venue, tourists can plan relaxing picnics. Santa Maria Valley Discovery Museum is a spot not to be missed if you are traveling with children. There are numerous interactive exhibits displayed here and children will be able to learn through creating experiences of exploring the world and the area. Los Flores Ranch Park is a park of an impressive beauty. The first open space park in the city, the venue has an area of 1,774 acres. Numerous plant and animal species can be admired here. Anyway, if what you are looking for is a place to swim in a great atmosphere, you should not miss the Paul Nelson Aquatic Center. Sunny Santa Maria, California gives visitors a chance to either kick back and relax or take a ride on the wild side; it's all up to the traveler. 1. The Santa Maria Strawberry Festival The Santa Maria Fair park hosts two of the city's most popular annual events: the county fair and the Strawberry Festival. Each event has dozens of rides, games and attractions, but the strawberries here are worth the annual wait. Other events such as truck shows, concerts and racing take place throughout the year at this Fair Park. 2. Natural History Museum. Santa Maria's Natural History Museum showcases many of California's current and past natural wonders. Exhibits of fossils, birds, a bat barn and even a waterfall allow visitors to study the state's diverse collection of creatures. 3.Air Skate Park.For the more adventurous, roll on by the Santa Maria YMCA Air Skate Park. With over 15,000 square feet, the park provides riders of all ability levels a chance to show off their talents. Make sure to check out the 48-foot half pipe, if only just to watch the experts show their stuff. 4. The Museum of Flight. The Museum of Flight is a tribute to the flying machines of the past and the men who flew them. Located in the Bigelow building at the Santa Maria airport, the museum displays many planes and aeronautical souvenirs. 5. Santa Maria Wineries. Tour the Cottonwood Winery to learn how great wine is produced: from the grapes in the vineyard to the bottle. 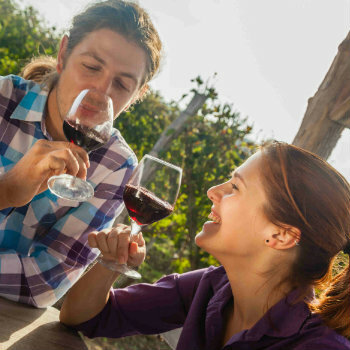 No tour is complete without a wine tasting, which is frequently paired with great live music and other special events. Another luscious afternoon can be had at Rancho Sisquoc Winery (at 6600 Foxen Canyon Road) or Foxen Vineyard (which appeared in the film Sideways). Ease your city blues with a road trip to Santa Maria, the cream of the crop for delicious wines and delectable strawberries. Rent your road trip Santa Maria hire car now.